The Sleep Apnea Ribbon proudly displayed on a mouse pad. 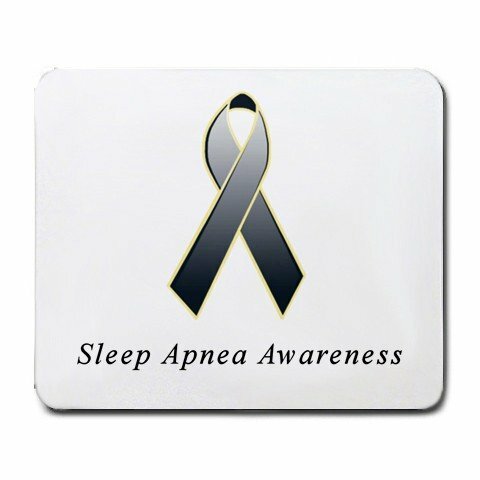 There is no better way to achieve awareness for the meaning of the Sleep Apnea Ribbon than to display it on your mouse pad for everyone to see. The mouse pad measures at 9.25" x 7.75", it is machine washable, and the colors will not fade or run. Start gaining awareness today by presenting your Sleep Apnea Ribbon mouse pad at work or at home. It is certain to keep your mouse rolling in style all while gaining support and awareness!